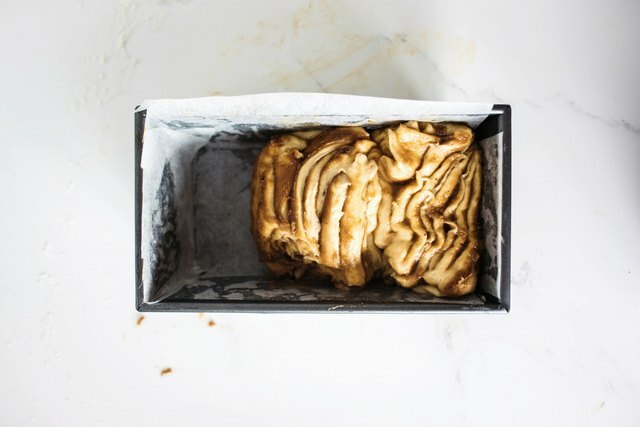 This overnight pull-apart bread is buttery, rich and comfortingly delicious. And the best thing about it is that it's hassle-free -- you can easily prepare it the day before and set it to rise overnight. Then all you need to do is place it in the oven and bake it in the morning. How easy it that? Begin by measuring and preparing all your ingredients. 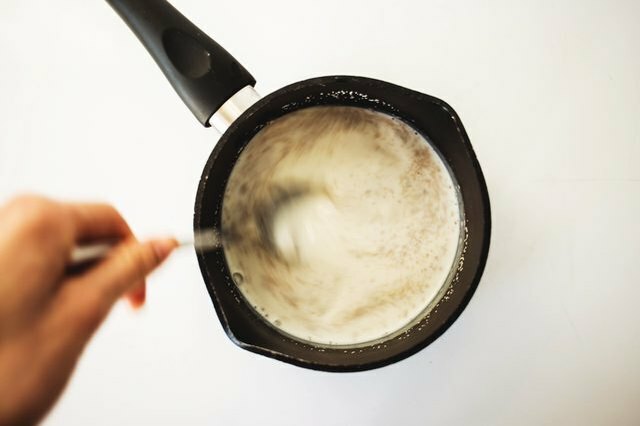 In a small saucepan set over low heat, bring 1/2 cup of the milk to a lukewarm temperature. Add the yeast, and whisk to combine. Let stand for 5 minutes. 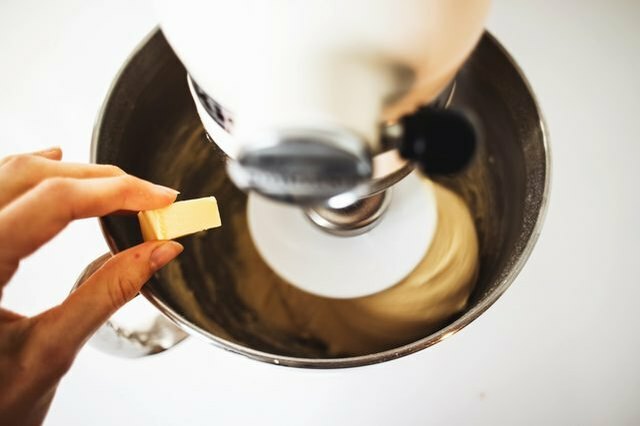 In the bowl of a stand mixer, combine the flour, sugar and salt. 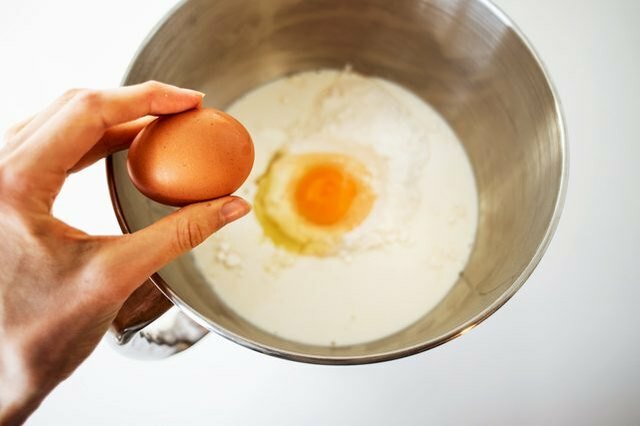 Mix in the yeast mixture, followed by the eggs. Then mix on low speed until the dough begins to come together, 2 to 3 minutes. Once the dough has come together, increase the mixer speed to medium-high, and work the dough until very smooth, 3 to 4 more minutes. Pause every so often to scrape down the sides of the bowl. Reduce the mixer speed to low, and slowly add 3.5 ounces / 100 grams of the butter, a little at a time over the course of 3 to 4 minutes. 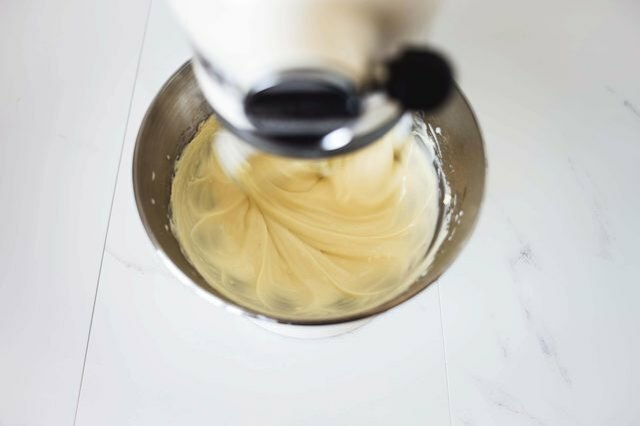 When the butter is fully incorporated, increase the mixer speed to form a smooth and elastic dough, 4 to 6 minutes longer. 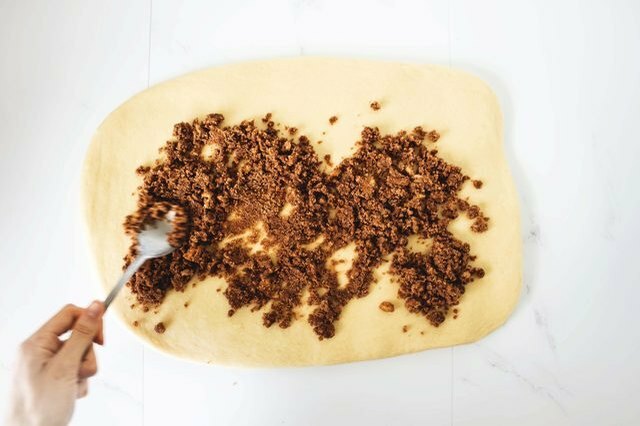 Transfer the dough to a lightly greased bowl. Cover it with plastic wrap or a damp tea towel and leave to rise in a warm spot for two hours or until doubled in size. 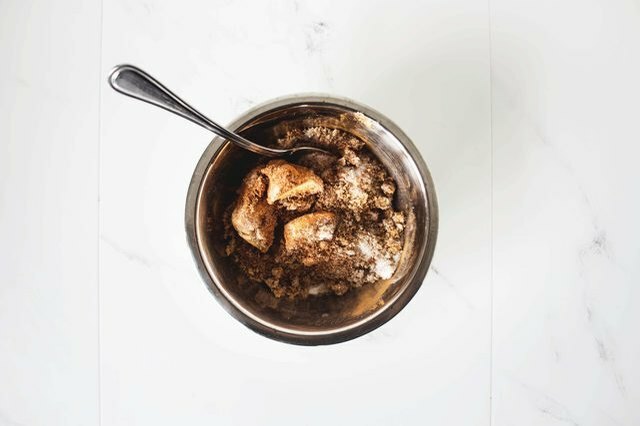 Meanwhile, prepare the spiced sugar filling by combining the remaining butter, brown sugar, cinnamon and nutmeg in a medium bowl. Set aside until needed. Once the dough has risen, transfer it to a lightly floured work surface and flour the top. Roll it into a 1/2 inch / 1.3 centimeter thick rectangle. Spread the prepared spiced sugar filling over the face of the dough. Slice the dough vertically into four equal strips then slice in half to form eight equal squares. Layer the squares on top each other and then slice the stack in half. 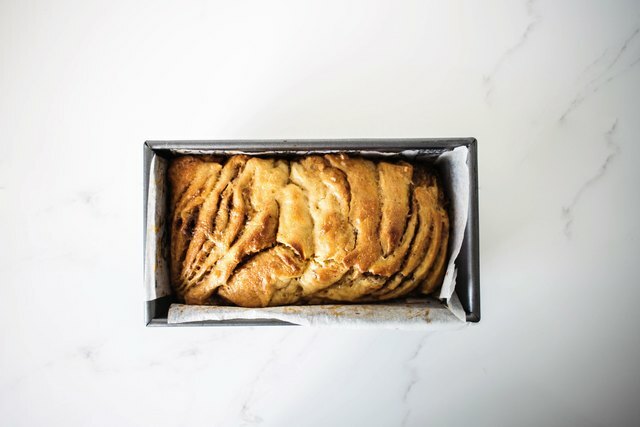 Arrange and stack the dough squares into a 9 inch / 22 centimeter baking parchment paper lined loaf pan so that it fills two thirds of the way. Cover with plastic wrap and place in the refrigerator to chill out and slow-rise overnight. The next morning, pre-heat the oven to 350 F / 170 C. Brush the loaf with the egg wash and bake until golden and the filling is bubbling, 35 to 45 minutes. Remove the loaf from the oven and let it cool in its pan before inverting onto a wire rack to let cool completely. Whilst the bread is baking, make the glaze by beating together the cream cheese on high speed until light and fluffy. Add the confectioners' (icing) sugar and beat until just combined. Add in the vanilla followed by the remaining milk and beat until you reach your desired consistency. If the glaze is too thick, add 1 tablespoon more milk at a time until it is smooth enough to drizzle. 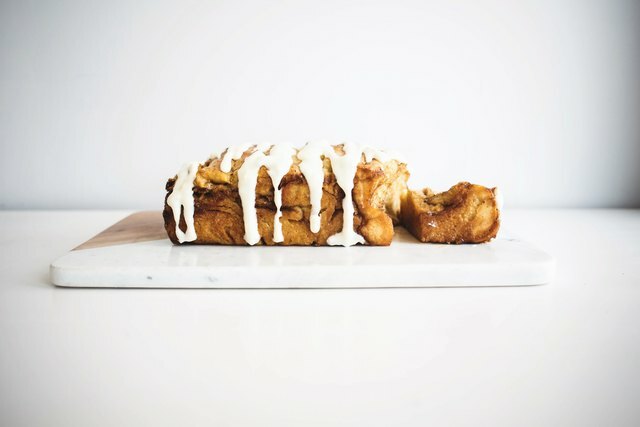 When the pull-apart bread has slightly cooled to room temperature, drizzle it with the cream cheese glaze. 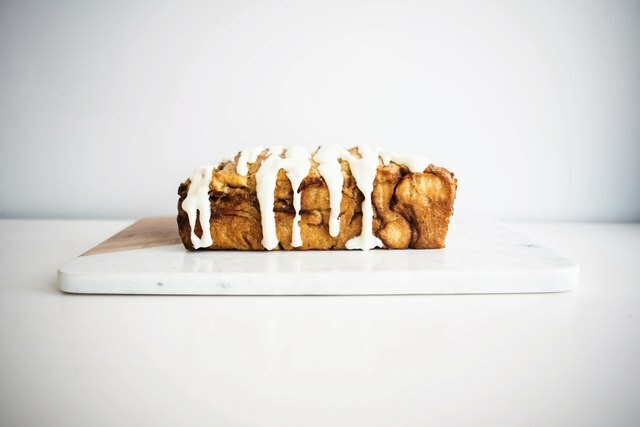 Serve and enjoy the pull-apart bread! The bread is best eaten within two days. Store covered at room temperature.